Bloom,Stella,Aisha,and Flora. 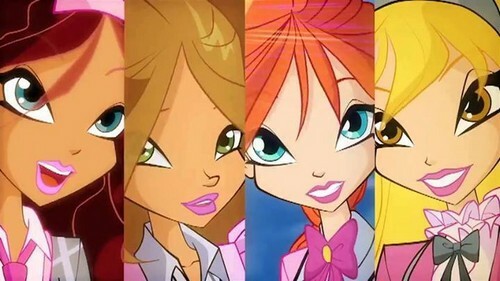 Winx in season six. Wallpaper and background images in the दा विंक्स क्लब club tagged: winx club bloom stella flora aisha season six. This दा विंक्स क्लब photo might contain मोबाइल फोनों के लिए, हास्य पुस्तक, मंगा, कार्टून, एनीमे, कॉमिक बुक, and manga. I love this part of the trailer, but in this shot i wonder, where are Musa and Tecna?